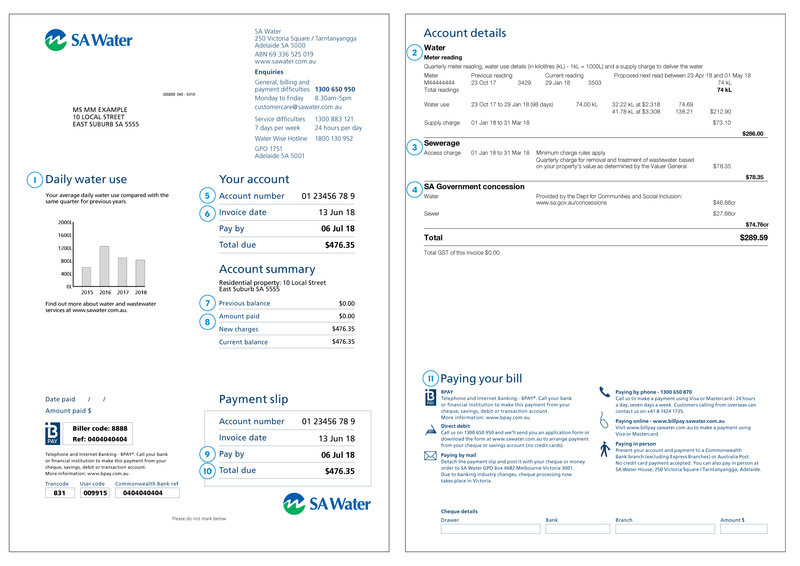 Your SA Water Bill has a lot of information on it. It is important you understand what it all means. For information about the cost of our services, please visit our Water and Sewerage Prices page. Some of the information on the front of your bill relates to information on the reverse. The graph on your bill shows your average daily water use, compared with the same quarter from the previous years. A variable or tiered charge for water use (up to 1.4247 kilolitres). There is a state-wide price for water. 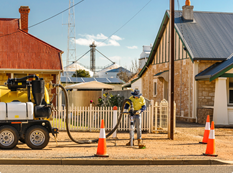 That means, regardless of where you live – in metropolitan Adelaide or a regional area – you pay the same price per kilolitre (kL: 1 kL equals 1000 litres) as every other residential customer, no matter how much it costs us to get the water to you. Your water charge is based on how much water you use and so changes each quarter. Water prices are reviewed annually (financial year). This cost is for the removal and treatment of sewage and used water from your property. It is based on your property value as determined by the Valuer-General. If you have any questions about your property valuation, please contact the Valuer-General. 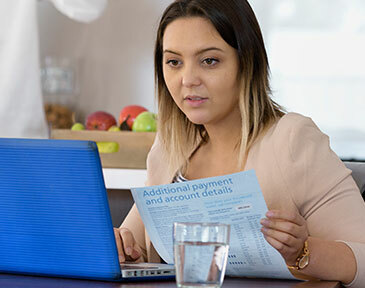 You may be able to claim a remission of water and sewerage rates if you are an eligible concession card holder or assessed as having a low income. Visit sa.gov.au/concessions or call 1800 307 758 to find out more. This number is a unique reference for your property. Keep it handy if you are contacting us or paying your bill online. This is the date we prepared your bill. This is the amount of your last bill. Amount paid: This is how much you paid towards your last bill. New charges: This is what you need to pay on your current bill. You need to pay your bill by this date. If you are unable to pay by this date, contact us to talk about your options, like a payment plan. This is the total amount you need to pay us. It includes the current charges and any unpaid amounts. This is the total amount owed. It may include unpaid amounts from previous accounts. We offer a range of payment options, including direct debit. Click here for more information.